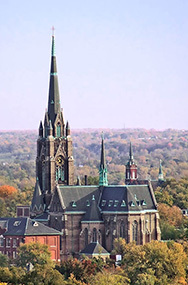 The Landmarks Association of Saint Louis kicked off their annual Preservation Week this Friday; the final day will be Sunday, May 20th, featuring a tour of two downtown Saint Louis Catholic churches. 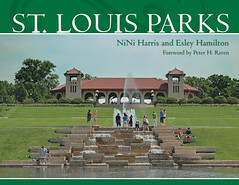 Depart Forest Park Metro station with Melanie Harvey for a sprightly CMT-sponsored Metro-Walk. Hop off Metro at the 8th & Pine Station, then visit the Old Courthouse, the Old Cathedral and the south riverfront Grafitti Wall before arriving at St. Mary of Victories just after Mass. Stay for Hungarian lunch on your own. Call (314) 367-3098 to make reservations. Free, except for Metro tickets. These are two of the oldest churches in the area, while the Old Courthouse is where the Dred Scott case got its start, helping to spark the American Civil War. 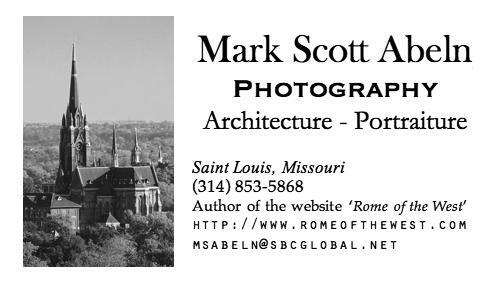 If you are interested in some of the lost Catholic patrimony of Saint Louis, the Landmarks Association is also featuring two recently closed parishes that are being renovated for secular use; look at the website for details.